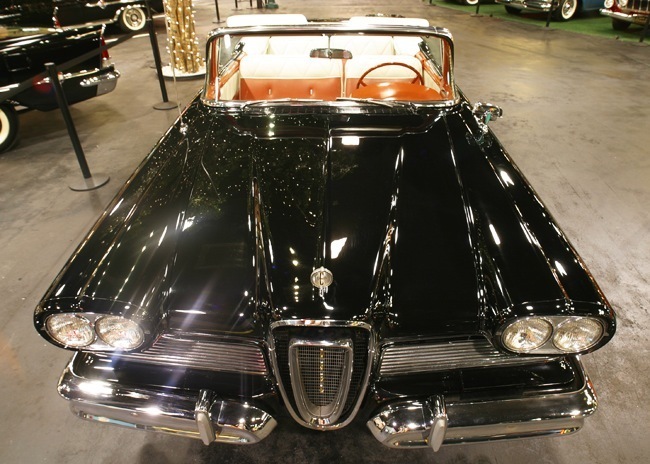 The Edsel was a marque of the Ford Motor Company during the 1958, 1959, and 1960 model years. 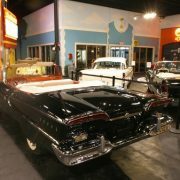 The brand is known best as one of the biggest commercial failures in the history of American business. 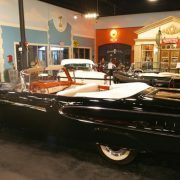 In the early 1950s, the Ford Motor Co. became a publicly traded corporation that was no longer entirely owned by members of the Ford family. 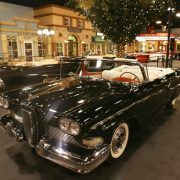 They were then able to sell cars according to then-current market trends following the sellers’ market of the postwar years. 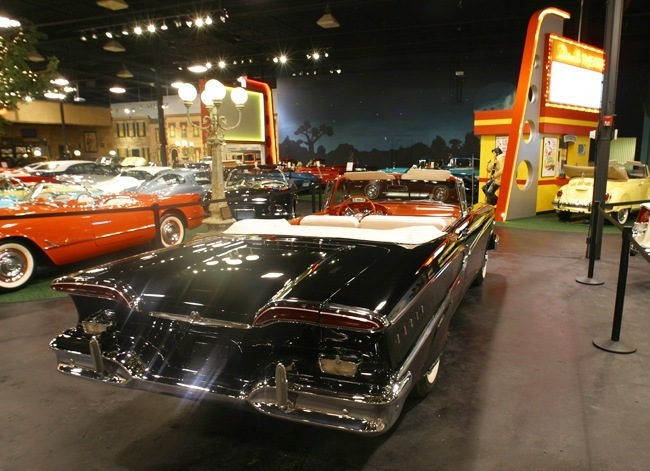 The new management compared the roster of Ford makes with that of General Motors, and noted that Lincoln competed not with Cadillac, but with Oldsmobile. 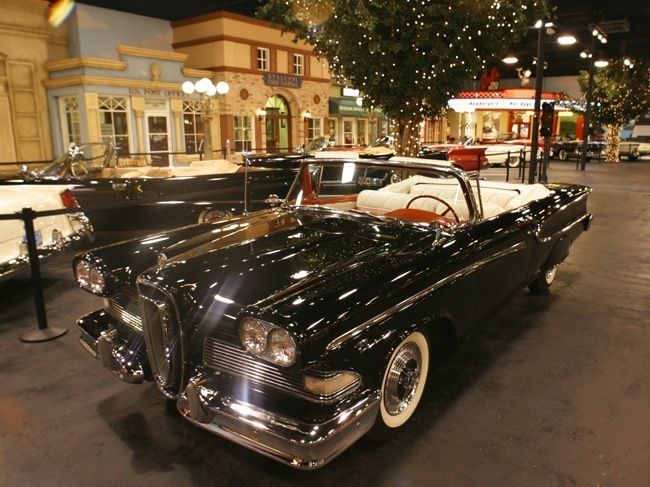 Since Ford had an excess of money on hand from the success of the Ford Thunderbird, a plan was developed to move Lincoln upmarket, with the Continental at the top, and to add another make to the intermediate slot vacated by Lincoln. 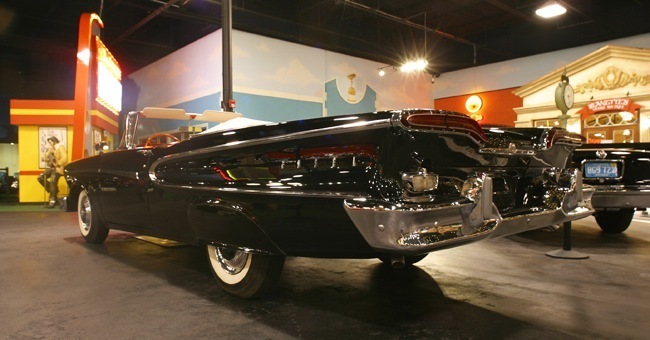 Research and development had begun in 1955 under the name “E-car,” which stood for “experimental car.” This represented a new division of the firm alongside that of Ford itself and the Lincoln-Mercury division, whose cars at the time shared the same body. 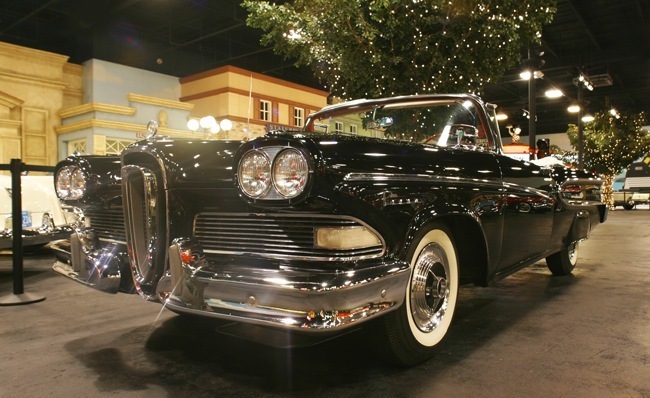 The Edsel was introduced amidst considerable publicity on “E Day”—September 4, 1957. 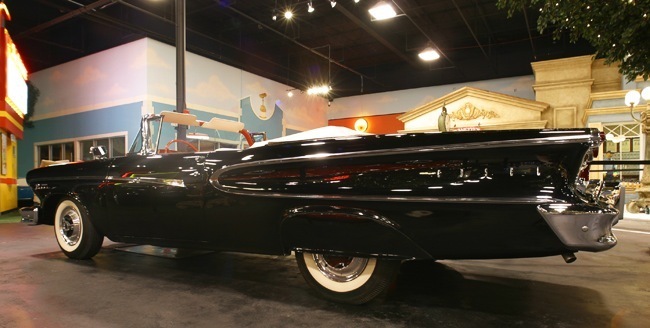 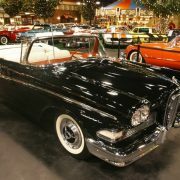 It was promoted by a top-rated television special, The Edsel Show, on October 13, but it was not enough to counter the adverse public reaction to the car’s styling and conventional build. 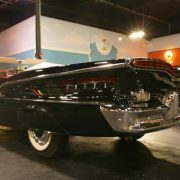 For months, Ford had been circulating rumours that led consumers to expect an entirely new kind of car, when in reality, the Edsel shared its bodywork with other Ford models. 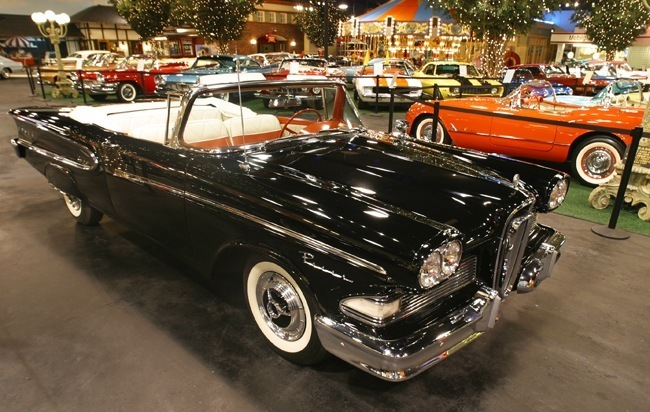 The Edsel was to be sold through a new Ford division. 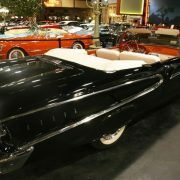 It existed from November 1956 until January 1958, after which Edsels were made by the Mercury-Edsel-Lincoln division (referred to as M-E-L). 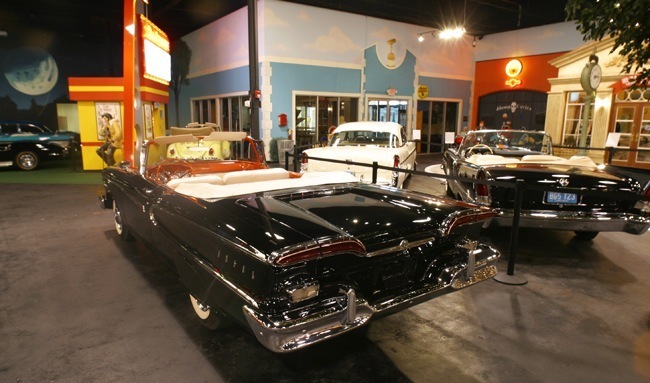 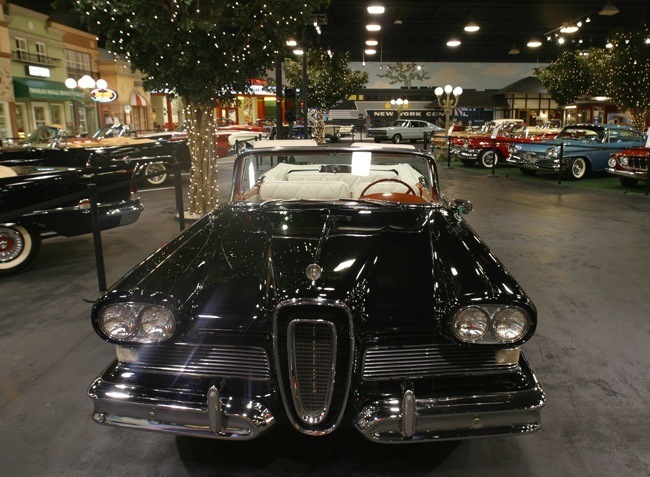 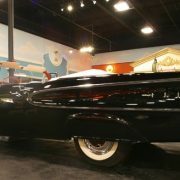 Edsel was sold through a new network of 1,500 dealers. 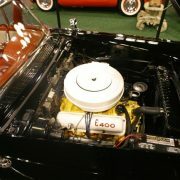 This briefly brought total dealers of all Ford products to 10,000. 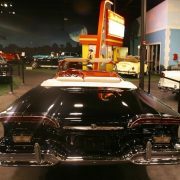 Ford saw this as a way to come closer to parity with the other two companies of the Big Three: Chrysler had 10,000 dealers and General Motors had 16,000. 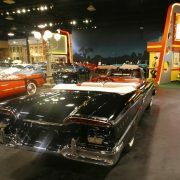 As soon as it became apparent that the Edsels were not selling, many of these dealers added Lincoln-Mercury, Ford of Britain, or Ford of Germany franchises to their dealerships with the encouragement of Ford Motor Company. 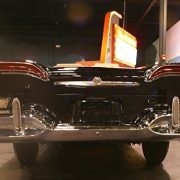 Some dealers, however, closed. 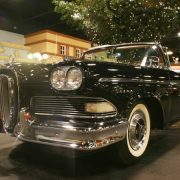 For the 1958 model year, Edsel produced four models, including the larger Mercury-based Citation and Corsair, and the smaller Ford-based Pacer and Ranger. 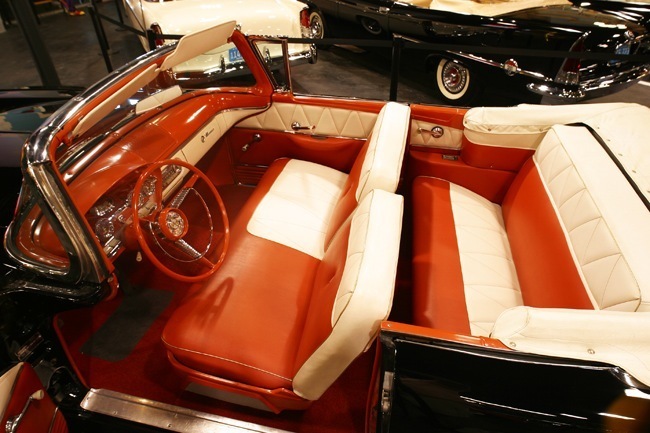 The Citation came in two-door and four-door hardtop and two-door convertible versions. 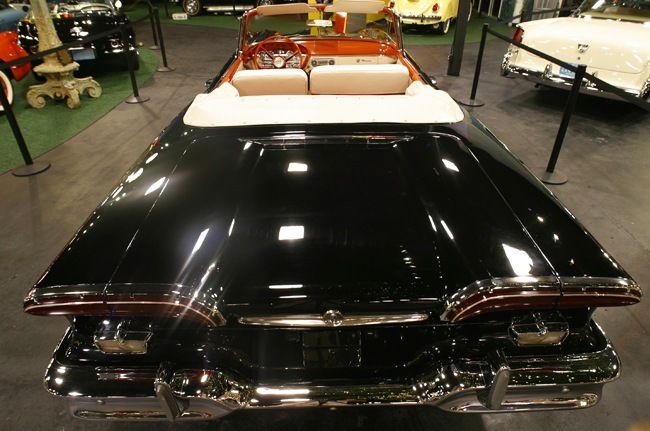 The Corsair came in two-door and four-door hardtop versions. 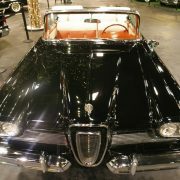 The Pacer was available as a two-door or four-door hardtop, four-door sedan, or two-door convertible. 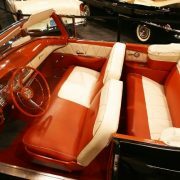 The Ranger came in two-door and four-door hardtop or sedan versions. 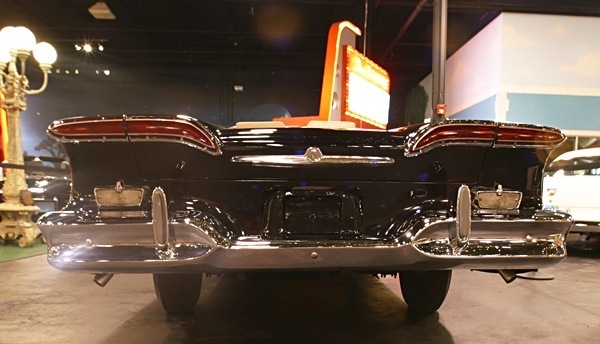 The four-door Bermuda and Villager wagons and the two-door Roundup wagon were based on the 116″-wheelbase Ford station wagon platform and shared the trim and features of the Ranger and Pacer models. 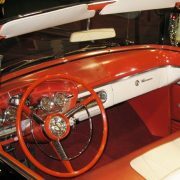 It included several innovative features, among which were its “rolling dome” speedometer and its Teletouch transmission shifting system in the center of the steering wheel. 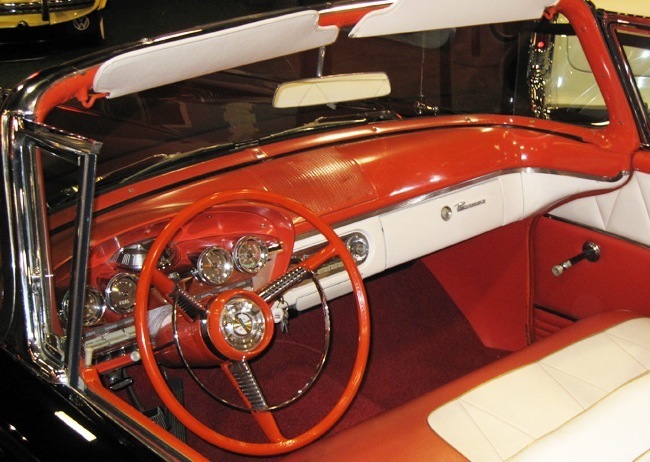 Other design innovations included ergonomically designed controls for the driver and self-adjusting brakes (often claimed as a first for the industry, even though Studebaker had pioneered them earlier in the decade). 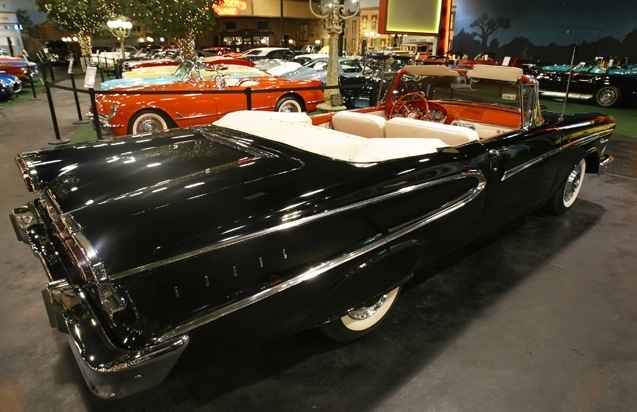 In the first year, 63,110 Edsels were sold in the U.S., with another 4,935 sold in Canada. 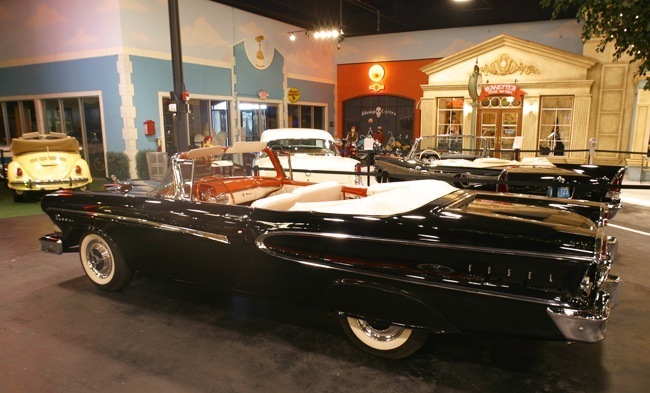 Though below expectations, it was still the second-largest car launch for any brand to date, exceeded only by the Plymouth introduction in 1928.For the 1959 model year, there were only two Edsels, the Ranger and the Corsair; the two larger cars were not produced. 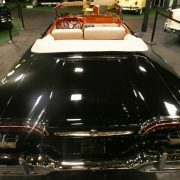 The new Corsair came in two-door and four-door hardtop, four-door sedan, and two-door convertible. 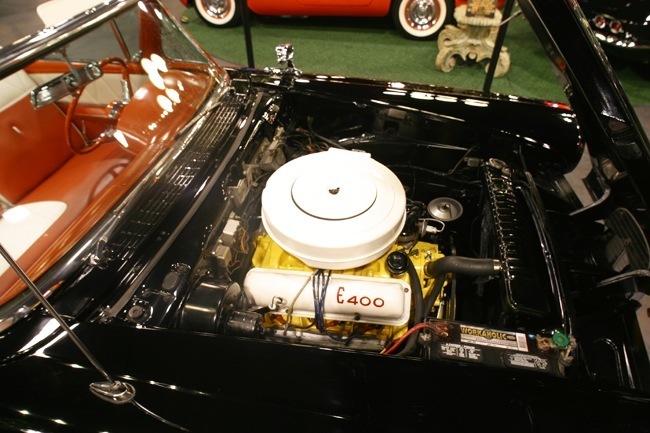 The Ranger came in two-door and four-door hardtop, two-door and four-door sedan, and the Villager station wagon. 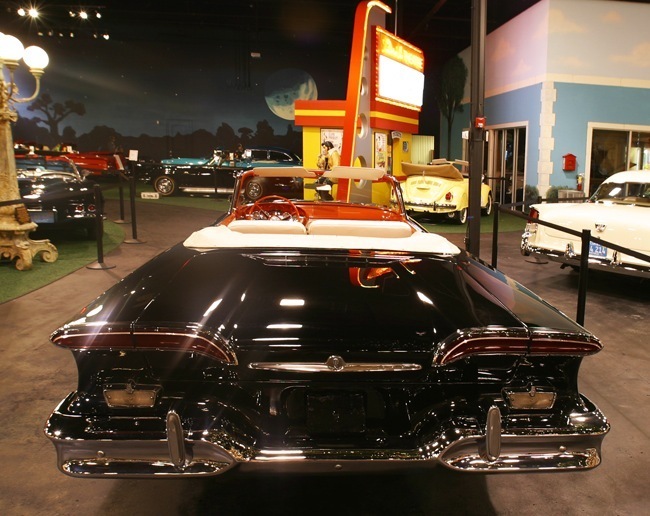 In the 1959 model year, 44,891 cars were sold in the U.S., with an additional 2,505 sold in Canada. 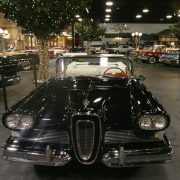 For the 1960 model year, Edsel’s last, only the Ranger and Villager were produced. 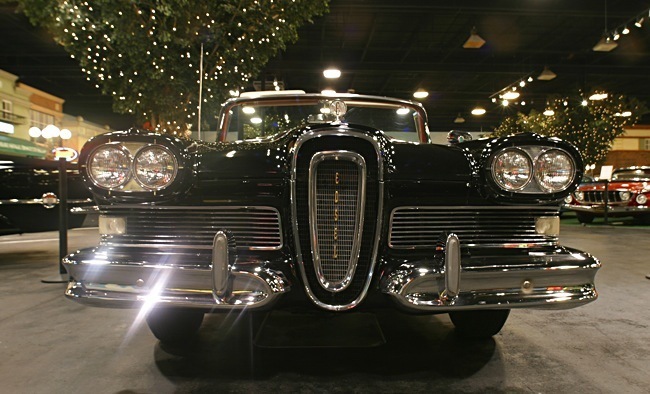 The 1960 Edsel, in its final model year, emerged as a Ford. 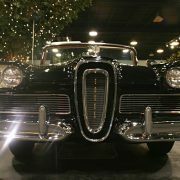 Its grille, hood, and four taillights, along with its side sweep spears, were the only real differences separating the Edsel from the Ford.